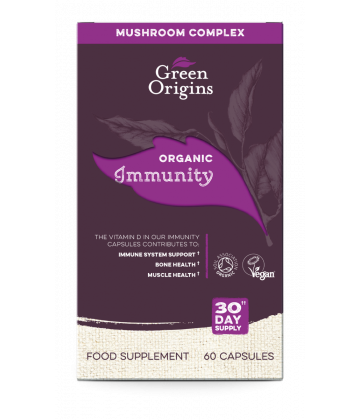 Green Origins Organic Immunity has been developed to naturally support the immune system using an expertly formulated blend of five mushrooms - Turkey Tail, Shiitake, Reishi, Chaga and Maitake. 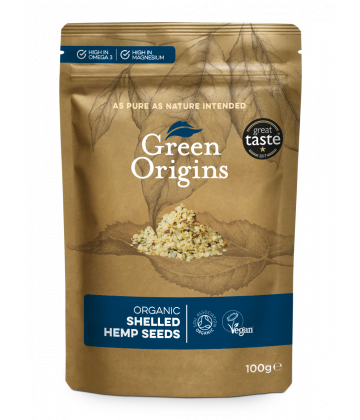 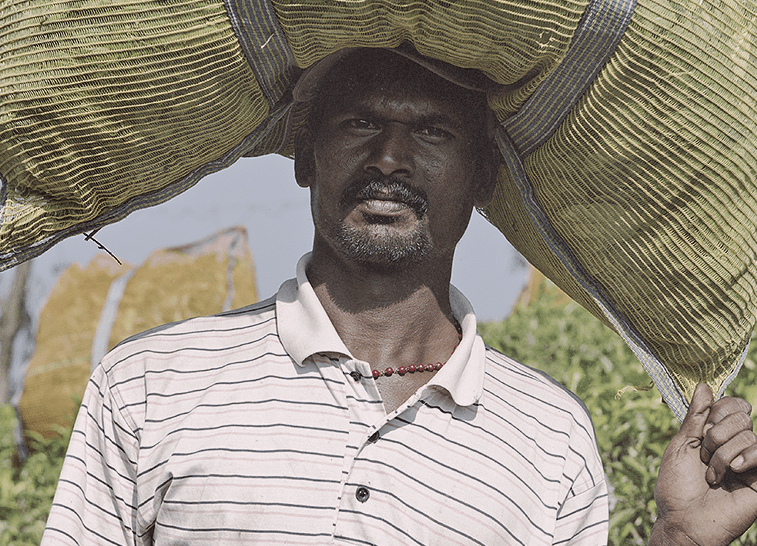 All are organically grown using traditional methods. 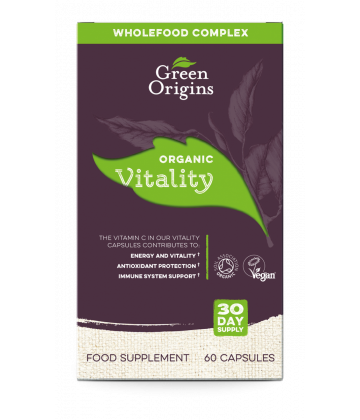 Organic Vitality combines nutritionally-rich greens to provide high levels of vitamin C which contribute to protection from oxidative stress and reduces tiredness and fatigue. 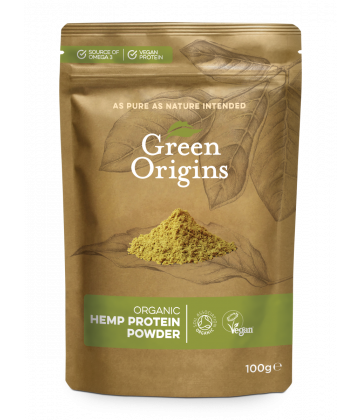 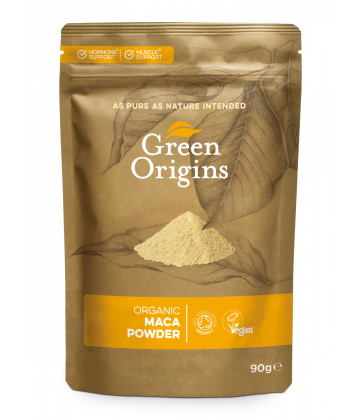 Acerola Cherry, Camu Camu and Amla are fruits naturally rich in Vitamin C. We have combined these fruit powders together with Turmeric, Reishi Mushroom and Black Pepper to provide a natural, food-form Vitamin C supplement. 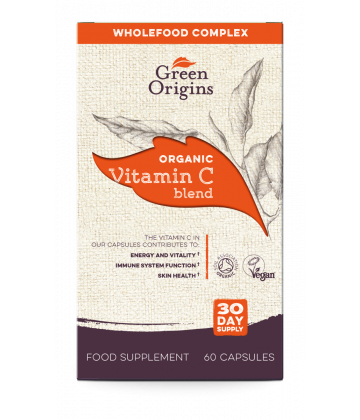 Vitamin C is an essential nutrient for the human body, which contributes to the reduction of tiredness and fatigue, normal immune system function and the maintenance of normal skin. 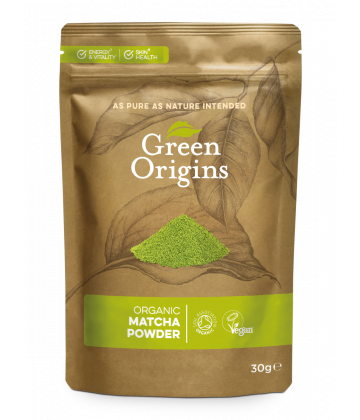 Our matcha is grown in Japan by the Nakai family, who have been growing matcha for 7 generations. 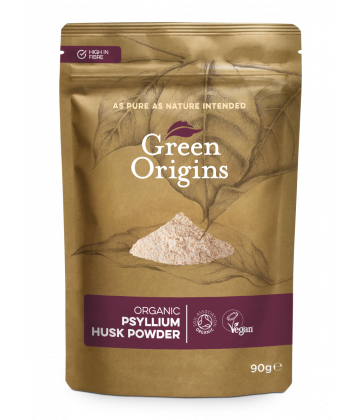 Psyllium husk powder is a is a great wheat-free alternative to traditional flour and is a rich source of fibre. 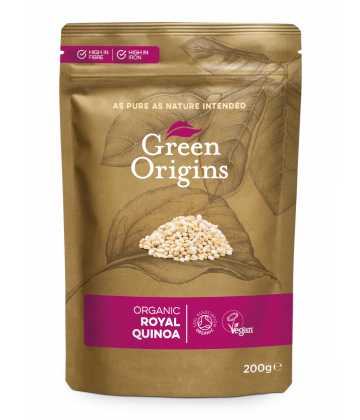 Quinoa, pronounced “keen-wa” is a great wheat-free alternative to starchy grains. 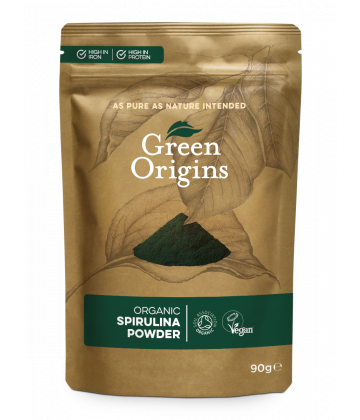 As one of the most protein-dense plant foods available and a rich source of micronutrients, Spirulina is one of the world’s best, and original, superfoods.